Coolcut S-50 soluble cutting fluid. Metal manufacturers can use Coolcut S-50 across the shop floor for a variety of applications, including drilling, milling, reaming, sawing and turning, and in higher-pressure machining processes. 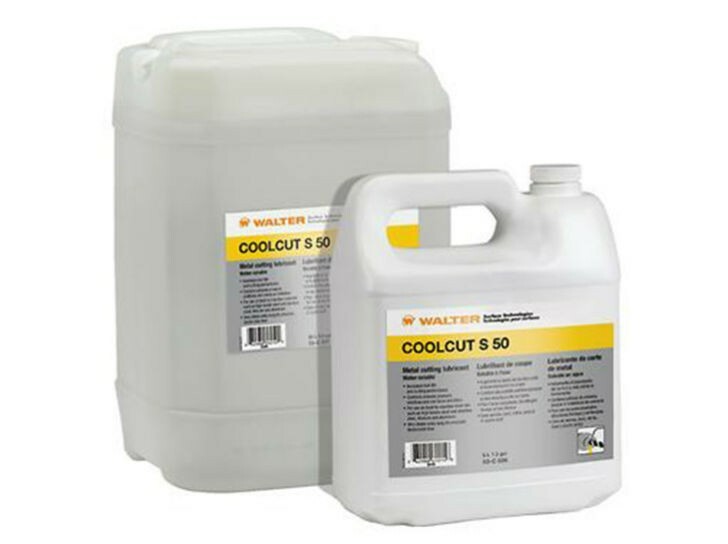 Coolcut S-50 is part of large selection of high-performance industrial lubricants, developed and formulated by Walter to the most rigorous standards of quality.